Summary: Scientists have proven that high-fructose corn syrup (HFCS) and sucrose can impair learning and memory function. (NaturalNews) Metabolism is the process that your body uses to make (or get) energy from the food that you eat, including carbohydrates, proteins and fats. In turn, your body's "fuel" can be used right away or stored in your tissues like your muscles, liver or body fat. Metabolic disturbances and disorders occur when abnormal chemical reactions disrupt the process of converting food into sugars and acids. Diabetes is a good example of a metabolic disorder where certain organs do not function normally anymore. Because most corn in America is genetically modified to kill corn "pests," no human on Earth should be eating it, especially every day. This is now being proven by scientists who run tests on animals in laboratories and have concluded that high-fructose corn syrup (HFCS) and sucrose can impair an adolescent animal's ability to learn, and it can impair its ability to remember information. And that brings us to the rat genome. Research presented at the Annual Meeting of the Society for the Study of Ingestive Behavior, also known as SSIB, reveals a difference between adult animals that consume HFCS-sweetened beverages and adolescent animals that consume the same. The amounts of HFCS used in the research were very similar to the amounts of GMO sugar found in common soft drinks. The study was conducted over one month. 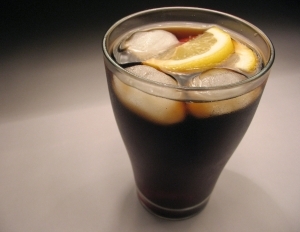 The lead author of the study said it's no secret that soft drinks can lead to not only metabolic disturbances but interference with the brain's ability to function normally and remember "critical information" about one's environment. The rats that consumed these soft drinks in excess may be directly compared to humans, because a comparison of human DNA to 12 other animals shows that we are more closely related to rats than to cats! Stretches of DNA we call genes are part of definitive evidence that we are indeed closer to rodents than we are to felines. The same genes occur in both humans and rodents but were not even observed until about a decade ago. In fact, humans also suffer similar inflammation of the brain that controls learning and memory functions. If your child is suffering from memory loss, poor grades at school, confusion, depression, ADHD, ADD or even autism, take the child to a Naturopathic Physician and start asking vital questions about genetically modified corn and HFCS. You might just find the answers that you've been looking for since the problems first presented.